Proper oven calibration is essential to consistency and quality control in a wide range of industries, and if you fail to properly calibrate oven temperature, you run the risk of improper curing, incomplete drying, and a costly waste of energy. Even a minor adjustment in temperature can compromise the integrity of your product, so it’s important to stick to a regular oven calibration schedule. 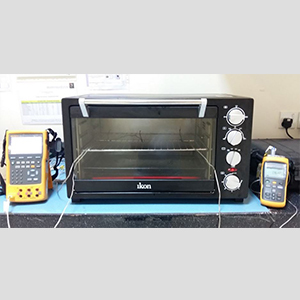 Inako Pratama temperature calibration capabilities include industrial oven calibration services, offering top-notch precision and expert attention to detail no matter what type of oven your business relies upon. Whether you use small ovens, batch ovens, walk-in ovens, or conveyor ovens, Transcat’s oven calibration services will make sure they operate correctly and consistently. The procedures involved in calibrating oven temperature are two-fold: first, we measure the temperature in your oven using a digital thermometer to see whether or not the actual temperature matches the programmed temperature. Then, we calibrate the oven’s temperature probe and internal system to ensure that the readings you see have been accurately transmitted. 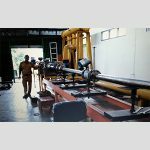 Why Inako Persada Oven Calibration Services? Transcat is a leader in oven calibration because our commitment to quality and accuracy is second to none. 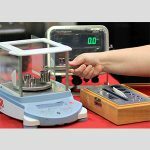 Our laboratory system is one of a select few commercial calibration operations accredited as a Reference Laboratory for a variety of disciplines, including reference temperature calibration, and includes the widest scope of ISO/IEC 17025 accreditation across the industries we serve. When it comes to oven calibration, you can rest assured that our team of highly trained calibration experts will service your equipment with the highest level of precision and attention to detail. Proper oven calibration is essential to consistency and quality control in a wide range of industries, and if you fail to properly calibrate oven temperature, you run the risk of improper curing, incomplete drying, and a costly waste of energy. Even a minor adjustment in temperature can compromise the integrity of your product, so it’s important to stick to a regular oven calibration schedule. Inako Persada temperature calibration capabilities include industrial oven calibration services, offering top-notch precision and expert attention to detail no matter what type of oven your business relies upon.